I love seeing new theatre. It is always exciting to see someone take a risk and present a brand new piece of theatre. I understand the risks involved with this, most of which are of a financial nature. Therefor I approach new shows with an open mind and try not to be too critical. 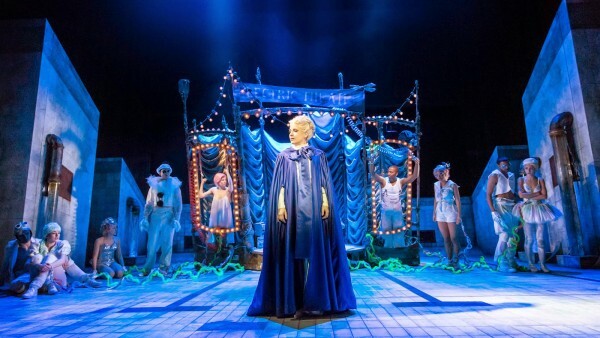 Water Babies is the latest new musical presented at Curve Leicester – a theatre which has staged several high standard new musicals over the past years. The adaption of Charles Kingsley’s fairy tale tells the story of orphaned Tom who has to find out who he is and discover that life is a lot about making the right choices at the right time. The show comes along with high-tech video projections, some nice water effects (and some real water towards the end), several power ballads and a (mostly) stellar cast. What it lacks is proper character development and a storyline that consists of more than the repeated reminder that “everyone has a choice”. Thomas Milner lacks the stage presence needed to play the male lead. And while Louise Dearman and Lauren Samuels shine with fantastic vocals, they are let down by their roles which give them no chance to leave a lasting impression. 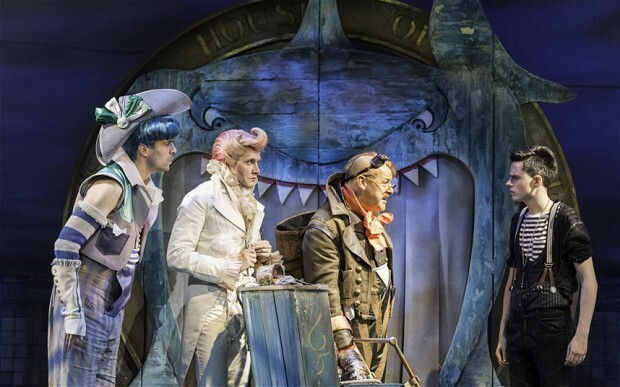 Tom Lister’s Eel – the stereotyped villain – is too much of a panto bad guy and left me unimpressed. The comedy trio (Tom Davey’s swordfish, Samuel Holmes’ seahorse and Andy Gray’s lobster) made me chuckle but I did feel I was watching a stand up comedy act thrown into a musical. The ensemble does a great job with the material they have been given. My first thoughts after leaving the theatre were “form over content” and “too many ballads” and those impressions still last on. To me it seems colourful sets, lots of dance scenes (which sometimes seemed out of places and randomly thrown in), a ton of video projections and fancy costumes are used to distract from the fact that the actual storyline and its characters are rather bland and underdeveloped. Having said all this, I wasn’t left feeling completely disappointed and I definitely didn’t waste an evening either. Yes, this show has a lot of flaws and it needs a major rework if it wants to see the light again at another theatre. But there is potential and some scenes and songs really gave me that “Wow” feeling you experience when you realise you are watching something magical on stage. I just wish that feeling had lasted throughout the whole performance. Water Babies is on at Curve Leicester until 17th May. For tickets and more info visit http://www.curveonline.co.uk.